It is a Plant Electromagnetic Translator – or P.E.T. This remarkable device can help to inspire children’s delight in, and understanding of, all growing things in a way that nothing else could achieve. The prototype was most generously donated to the charity by the inventor, Jeremy Lord, so that it could become, first and foremost, an educational device to inspire children’s love and care of the environment. Right from the Start is deeply indebted to Jeremy for this gift and we’re determined to find the ways and means to develop and perfect the circuitry of this first prototype, design a strong, attractive, and child-friendly casing and achieve the low cost mass production essential to ensure its accessibility for parents and schools. When the device is attached to a leaf or stem, and switched on, it starts to pick up the energy of that living plant. As this energy surges and fades and surges again, it is translated into a complex pattern of musical sounds. 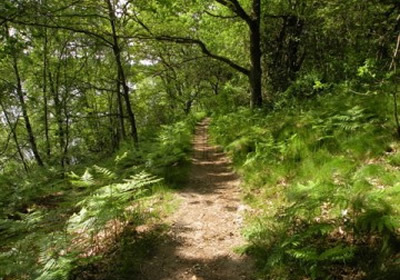 Each different species of plant or tree produces its own, unique ‘signature tune’, which will itself change – sometimes minute by minute – according to the time of day, changes to the environment and human influence. Its specially designed, battery-powered ‘circuit’ is housed in a small wooden box with a clip at the end of a wire to attach to the leaf or stem of a plant. A second wire (with a prod instead of a clip) acts as an ‘earth’ to prevent interference by static electricity from any other source. There is an on-off switch and a rotating knob to balance the energy input from the plant and the volume of the musical sounds. It also records – loudly and clearly – the sensitive ‘energy interaction’ taking place between plants and those who care for them or about them, in a way that is truly extraordinary. 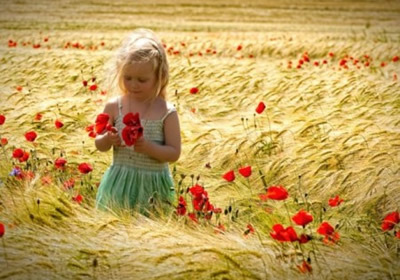 This is particularly noticeable in respect of a plant’s response to children looking at a plant which they have grown or watch over with interest, pride and delight. The patterns of sound instantly increase – in range and speed of delivery – even at a distance of several yards. It records the ‘green finger’ phenomenon. The P.E.T. 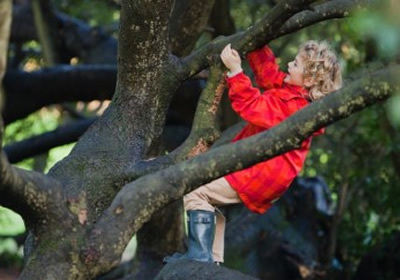 prevents children losing their inborn sense of wonder and connectedness to the natural world. It helps them to begin to understand something of the unity in all creation. 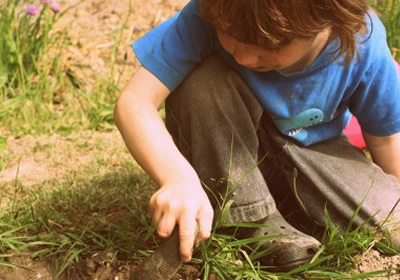 Encouraging children’s inborn sense of wonder and connection to the natural world – can you help us to achieve this . .